Institute for Development of Freedom of Information (IDFI), with the financial support of the Open Society Institute – Budapest Foundation (OSI), presented a new website www.Open-Archives.org for evaluation of the openness of state archives in post-Soviet countries. Giorgi Kldiashvili, Executive Director of IDFI, delivered the welcoming speech. 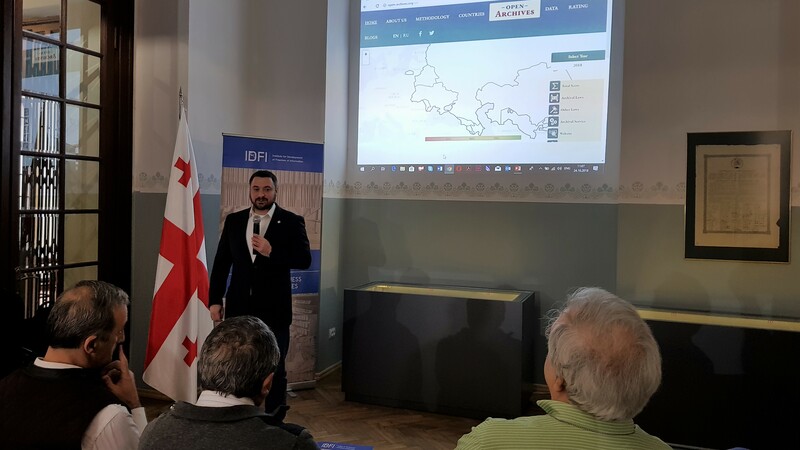 He presented an overview of the achievements and challenges that exist in Georgia with regard to openness of archives and spoke about the new website launched by IDFI. Anton Vacharadze, head of the Archive and Soviet Studies Direction of IDFI, presented the results of the evaluation of the openness and availability of 18 state archives in post-Soviet 10 countries carried out by IDFI and its partners – historians and researchers. The study is based on a methodology elaborated by IDFI in cooperation with its partners that consists of 5 components: archival legislation, other legal acts concerning archives, archive services, archive website and the reading room. “Two archives have been evaluated in each country, except for Azerbaijan and Uzbekistan: one was the country’s main archive (national or historical), and the other was the archive of a repressive state institution. 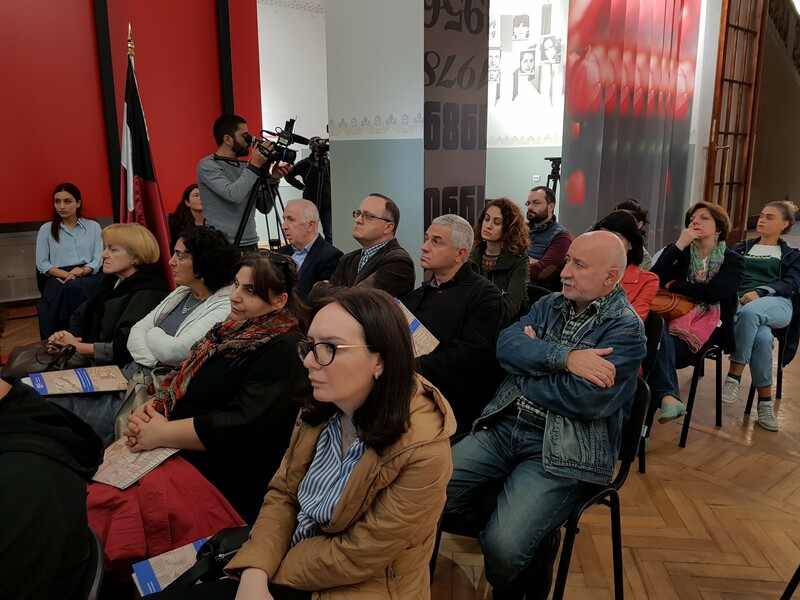 In Azerbaijan and Uzbekistan the archives of local repressive state institutions were physically unavailable for our researchers,” - noted Anton Vachardze. The results of the evaluation demonstrate that a great deal of change is required to increase the openness of state archives in almost all target countries, including Georgia. All archives that did well in the rating provide a written, legal substantiation for their refusal to grant access to a record. The archives of repressive or former repressive institutions in most target countries lack their own website and a reading room. Only 2 of the 18 archives allow taking photos of archival documents using the researcher’s own camera in the reading room.